GETTING BARKING AND DAGENHAM YOUTH ZONE OFF TO A FLYING START! Founder Patrons are key to the success of a Youth Zone. Becoming a Founder Patron of Barking and Dagenham Youth Zone is your chance to be part of the Future Youth Zone story. Our Founder Patrons are a group of individuals and companies united by a determination to give young people in Barking and Dagenham somewhere to go, something to do and someone to talk to. As a Founder Patron you will form part of an exclusive group who share the vision to transform the lives of thousands of young people in Barking and Dagenham. 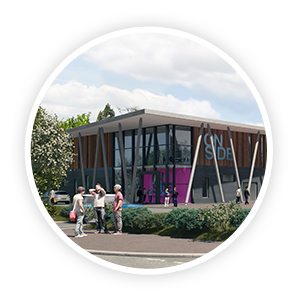 Your pledge of consistent support is critical to the success of Future Youth Zone. Such support will ensure that we open the doors with a first class offer, it will provide us with a foundation to develop and maintain excellent services for young people which match the quality of the building. The select group of Founder Patrons is made up with the great and good from Barking and Dagenham, community leaders whose endorsement and generous support will encourage others to follow. If you would like to know more about becoming a Founder Patron contact Rebecca Mahallati on Rebecca.Mahallati@onsideyouthzones.org for more information.